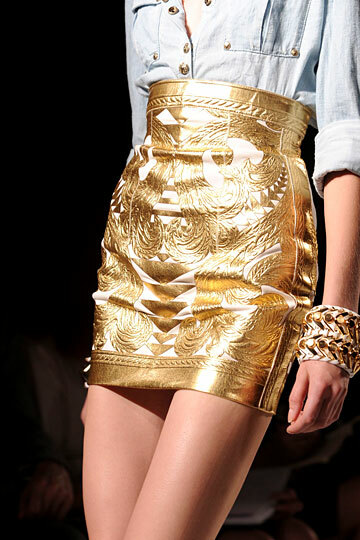 balmain, designer, paris fashion week, spring 2012 This was Oliver Rousteing's big moment. The young designer showcased a spectacular show with its elaborate embroideries and wallpaper - floral motif. 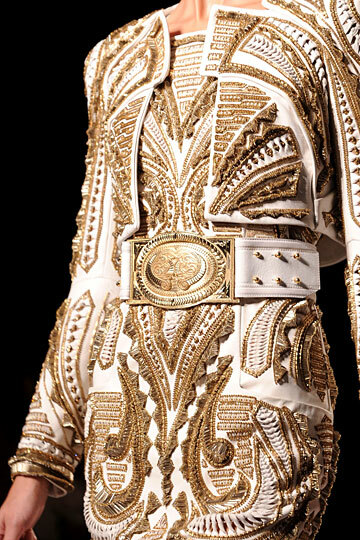 He described it as a mixture of Mexican tailoring and the glamour of Vegas. With a touch of softness to some of its pieces, he manages to blend it well with all the strong details we see here. I doubt if you don't make a grand entrance wearing these pieces.